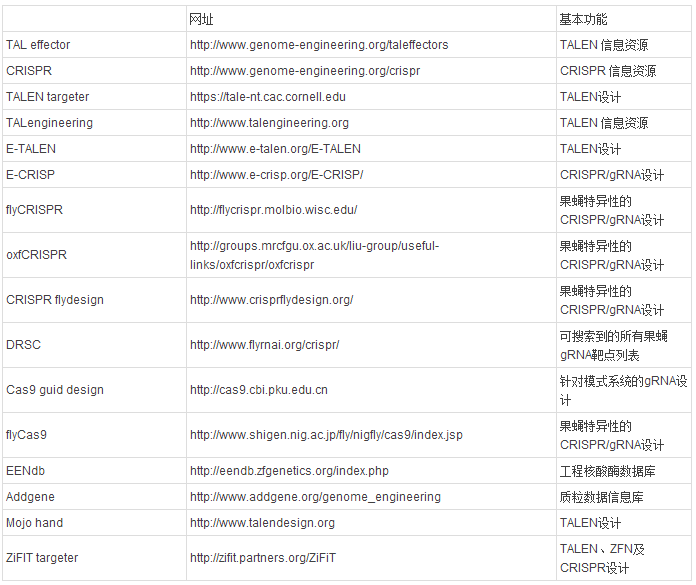 图1 TALEN的结构。（A）与靶点DNA（灰色显示，PDB ID：3UGM）结合的TALE蛋白。每一个独立的TALE重复序列元件包含33到35个氨基酸残基，这些TALE重复序列元件能够通过两个高变异度的残基（即重复可变双残基，RVD，棍状显示）来识别一个单一的碱基对。（B）TALE核酸酶（TALEN）形成二聚体结合DNA的动画演示。TALEN目标位点由两个TALE结合位点组成，这两个位点间通过不同长度的间隔区序列（12-20bp）分开。 TALE可以被设计成仅仅识别左半侧位点或右半侧位点。图片来源： Thomas Gaj, Charles A. Gersbach, and Carlos F. Barbas III. 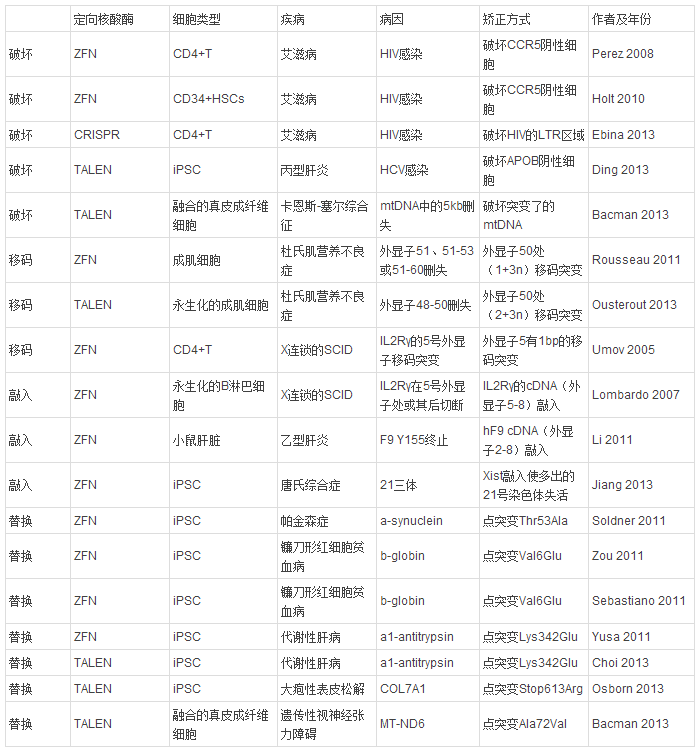 (2013) ZFN, TALEN, and CRISPR/Cas-based methods for genome engineering. Trends in Biotechnology, 31(7): 397-405. 图2 TALEN进行基因组编辑的原理。利用位点特异性核酸酶可以进行基因组编辑，而核酸酶诱导的DNA双链断裂（DSB）可由同源定向修复（HDR）或非同源末端连接途径（NHEJ）来修复。（A）在供体质粒（donor plasmid）暴露出延长的同源臂（homology arm）的情况下，HDR可能导致插入的单个或多个转基因发生改变或取代原有的基因。（B）在缺失供体质粒的情况下，NHEJ介导的修复会产生小的插入或删失突变，并可能导致目标基因被破坏；在有双链寡核苷酸或线状供体质粒存在的情况下，这些DNA片段可能通过NHEJ介导的连接反应插入；同时诱导两个DSB的产生则会引起删失、插入和易位突变。图片来源：Thomas Gaj, Charles A. Gersbach, and Carlos F. Barbas III. (2013) ZFN, TALEN, and CRISPR/Cas-based methods for genome engineering. Trends in Biotechnology, 31(7): 397-405. 图 3 “铂金门”TALEN构建系统TALEN元件构建操作示意图。步骤一，四个或更少的组件被连接到阵列质粒（array plasmid）上；步骤二，构建好的阵列随后被连接到哺乳动物表达载体中；白色和粉色的长方形分别表示在BsaI和Esp3I限制性内切酶切割后留下的粘性末端；蓝色字母代表RVD，红色字母代表non-RVD变化，黄色长方形代表后一半重复。图片来源：Tetsushi Sakuma, Hiroshi Ochiai, Takehito Kaneko, Tomoji Mashimo, Daisuke Tokumasu, et al. (2014) Repeating pattern of non-RVD variations in DNA-binding modules enhances TALEN activity. Science Report, 3(3379): 1-8. 图 4 “easyT”TALEN构建系统TALEN元件构建操作示意图。（A）包含一个长度为18.5个组件的 TALE重复元件的TALEN体系示意图。该TALE重复元件由20个单体单位（monomer unit）组装而成。单体单位的边界在组装过程中发生了移位。（B）TALEN克隆示意图。第一步，由四个单体通过连接反应组装成4聚体；第二步，4聚体（4-mers）进行PCR扩增，琼脂糖凝胶电泳，胶回收并浓缩；最后，在第二次连接反应中，4聚体被组装到TALEN骨架质粒（backbone plasmid）上；黄色和蓝色箭头分别表示4聚体扩增时的正向引物与反向引物。图片来源：Tomonori Katsuyama, Arslan Akmammedov, Makiko Seimiya, Samuel C. Hess, Cem Sievers and Renato Par. (2013) An efﬁcient strategy for TALEN-mediated genome engineering in Drosophila. Nucleic Acids Research, 41(17): e163-171. 图 5 TALEN元件的优化。（a）基于RFP-GFP报告基因的各TALEN元件基因编辑活动的检测方法图示，只有插入靶位点后才能修正紧随其后EGFP的读码框以表达EGFP；（b）TALEN靶点和TAL效应子与FokI结构域融合连接区域的氨基酸序列；（c）TALEN基因编辑活力的比较。报告基因质粒包含靶位点，靶位点中有各类间隔序列（彩色标记），将报告基因质粒和TALEN质粒共转染到HEK293细胞中，然后使用流式细胞术分离GFP阳性的细胞。图片来源：Yongsub Kim, Jiyeon Kweon, Annie Kim, Jae Kyung Chon, Ji Yeon Yoo, Hye Joo Kim1, Sojung Kim et al. (2013) A library of TAL effector nucleases spanning the human genome. Nature Biotechnology, 31(3): 251-260. 图6 ZFN的结构。该图为DNA双链与一对ZFN结合的示意图。每一对锌指用粉色标出，图像左侧的锌指用带状结构表示，右侧的锌指用填充空间结构表示；FokI的DNA切割域如蓝色区域所示；位于连接域与切割域之间的长度为四个氨基酸的“连接区”（linker）如灰色填充空间结构所示。DNA双链的糖-磷酸骨架为橙色，碱基显示为蓝色，在ZF结合位点两侧的DNA区域间距为6bp。该示意图由Smith等人在2000年根据锌指蛋白与DNA结合的晶体结构数据所编译而来。图片来源：Carroll D. (2011) Genome engineering with zinc-finger nucleases. Genetics. 188(4): 773-82. 图7 ZFN特异性识别DNA并与DNA结合示意图。每个DNA识别域包含三个锌指，锌指从N端开始命名，在图中标示为F1、F2、F3。每个锌指结构分别与3个碱基发生直接接触，由此产生特异性。单独的FokI切割域不具有特异性识别能力，但当与锌指结构相连，并与另一个FokI切割域形成二聚体后，便能够对DNA双链进行切割。两个切割位点之间的距离约为4bp，如箭头所示。图片来源：Carroll D. (2011) Genome engineering with zinc-finger nucleases. Genetics. 188(4): 773-82. 图8 通过ZFN技术对基因进行编辑操作的几种主要方式示意图。通过对靶基因编码区域的目标序列进行ZFN切割，可以产生DSB，导致基因无法通过NHEJ修复而失活，从而达到基因敲除的目的。通过在两端引入wildtype（野生型,WT）DNA模板，并借助于同源重组（homologous recombination,HR）的修复，整个表达元件（expression cassette）可以替换发生DSB的区域，从而可以修复具有致病性的突变基因。通过提供能够覆盖ZFN切割位点附近整个核苷酸多态性区域的DNA序列，同样可以利用同源重组实现基因的修复，箭头显示的是ZFN切割位点。图片来源： Palpant NJ, Dudzinski D. (2013) Zinc finger nucleases: looking toward translation. Gene Ther, 20(2):121-7. 图9使用ZFN技术治疗艾滋病和遗传疾病的示意图。（上）治疗艾滋病：使用ZFN技术切割CCR5受体的编码序列，以破坏CCR5膜受体的功能，使HIV失去细胞感染能力。（中）治疗杜氏肌营养不良症：使用ZFN技术进行基因组编辑，插入小段序列将Dystrophin基因的读码框恢复正常。（下）治疗21三体综合征（唐氏综合症）：使用ZFN插入HSV的TK基因，直接造成一条21号染色体自发丢失；使用ZFN在一条21号染色体上插入Xist基因，使这整个染色体失去功能。图片来源：Hongmei Lisa Li, Takao Nakano, and Akitsu Hotta. (2014) Genetic correction using engineered nucleases for gene therapy applications. Development Growth Differentiation, 56(1): 63-77. 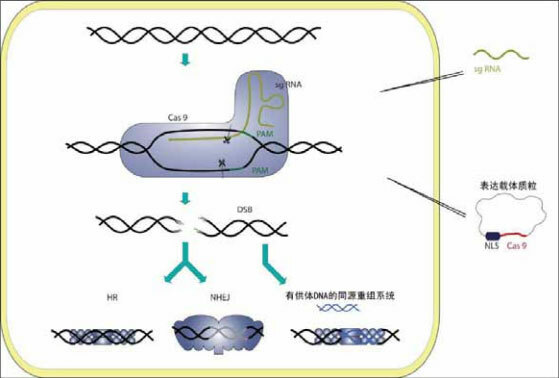 图10 CRISPR的结构（以嗜热链球菌LMD-9基因组CRISPR1/Cas系统的位点为例）。（上）Cas基因由蓝色表示，包括广泛存在的cas1和 cas2，II类系统特征基因cas9和csn2。重复间隔物阵列（CRISPR）由黑色表示。（下）CRISPR的重复序列（repeat）和间隔物序 列（spacer）分别用黑色菱形、灰色长方形表示。缩写：L，前端；T，末端重复；数字代表间隔物序列被获取的顺序。图片来源：Rodolphe Barrangou1 and Philippe Horvath. (2012) CRISPR: New Horizons in Phage Resistance and Strain Identification. Annual Review of Food Science, 3: 143-162. 图11 CRISPR抗病毒运行机制。（上）crRNA和Cas蛋白的生物学合成：Cas基因转录为mRNA，随后翻译为Cas蛋白，Cas蛋白可以形成 CASCADE复合体（抗病毒防御的CRISPR相关复合体）。CRISPR重复间隔物阵列转录为全长的前体crRNA（pre-crRNA），随后经过 加工成为crRNA。这些crRNA包含部分的重复间隔序列。（下左）间隔物（spacer）获取：噬菌体的原间隔物序列，一般在PAM（原间隔物模块） 的旁边，可由Cas蛋白识别，并产生一个新的重复间隔物单元，插在原有的重复间隔物阵列前端。（下右）干扰：由crRNA介导的CASCADE核糖核蛋白 复合体识别入侵的同源序列，在PAM附近的原间隔物序列处将这些双链DNA（dsDNA）截断。图片来源：Rodolphe Barrangou1 and Philippe Horvath. (2012) CRISPR: New Horizons in Phage Resistance and Strain Identification. Annual Review of Food Science, 3: 143-162. 图12 三种不同的CRISPR/Cas干扰系统作用步骤。CRISPR/Cas系统根据分类有三种，其共同特点是都具有DNA区域（蓝色）、靶向crRNA（红 色）和原间隔物模块（PAM，绿色）。在I类系统（A）中，入侵的DNA有Cascade:crRNA复合体识别，PAM模块则能促进外源性DNA的识 别，随后核酸酶Cas3被募集并将目标DNA降解。在II类系统（B）中，只需要单独的Cas9蛋白即可完成干扰，并不依赖一个多蛋白复合体，Cas9和 反式激活的crRNA（tracrRNA）、前crRNA（pre-crRNA）形成复合体，该复合体促使RNA酶III将前crRNA加工为成熟的 crRNA。在III类系统（C）中，一个多蛋白复合体（Csm或Cmr）或Cas6促进前crRNA转化为成熟的crRNA，最终导致目标DNA的降 解。图片来源：Hagen Richter, Lennart Randau and André Plagens. (2013) Exploiting CRISPR/Cas: Interference Mechanisms and Applications. International Journal of Molecular Science, 2013, 14, 14518-14531. 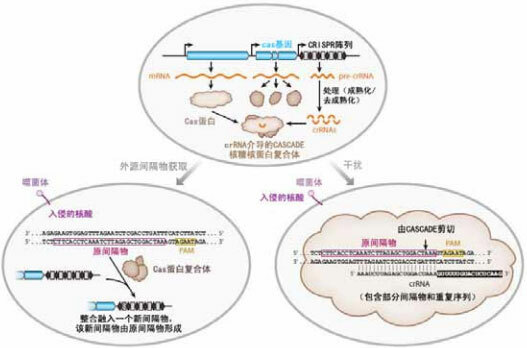 图13 利用一段小向导RNA（sgRNA）:Cas复合体系统靶向基因组编辑的步骤。将编码密码子优化的Cas9（红色）序列、一段核定位序列（NLS）和一段 包括目标靶序列的小向导RNA（sgRNA，黄色）序列同时构建在一个质粒中，再将质粒转染进目标细胞。一个有功能的sgRNA:Cas9干扰复合体会在 细胞内完成组装，该复合体会在PAM结构的上游目标DNA序列上诱导产生一个双链断裂（DSB），而DSB则能被宿主细胞的DNA修复系统、同源重组系统 （HR）和非同源末端连接途径（NHEJ）修复。HR系统以宿主的等位基因为模板复原野生型序列，将序列恢复为断裂前的状态；而容易出错的NHEJ系统则 会在目标位点（灰色）引入插入和删失。使用一段合成的供体DNA模板与Cas系统质粒共转染，可以诱导HR（蓝色），提高编辑效率。图片来源：Hagen Richter, Lennart Randau and André Plagens. (2013) Exploiting CRISPR/Cas: Interference Mechanisms and Applications. International Journal of Molecular Science, 2013, 14, 14518-14531. 图14 使用一种基因工程修饰的II类CRISPR系统完成了人类细胞的基因组编辑。（A）人类细胞的RNA介导基因打靶涉及C末端包含SV40核定位信号 （nuclear localization signal）的Cas9蛋白和一个或一个以上的向导RNA（guide RNA, gRNA）的共表达（上半部分共表达两个质粒的结构示意图），这一过程由人类U6聚合酶III（U6 polymerase III）的启动子介导。Cas完成DNA双链的解聚并在gRNA（guide RNA）的识别下切割特定的DNA双链位置，该过程前提是其3’端有序列正确的原间隔物模块（protospacer-adjacent motif, PAM）。原则上任何符合GN20GG序列模式的基因组序列都可以被特异性靶向识别（下半部分靶向识别的作用机制示意图）。（B）一个基因组整合的GFP 编码序列被一个终止密码子和一个长达68bp的基因组片段在AAVS1位点的插入打断，使用合适的供体序列通过同源重组（HR）的方式修复GFP序列能诱 使GFP功能恢复，形成GFP阳性的细胞，之后则可通过流式细胞术（FACS）分离。T1和T2向导RNA靶向序列定位于AAVS1片段区域。TALEN 元件的两个单体的结合位点用上划线表示。图片来源：DiCarlo, Julie E. Norville1, George M. Church. (2013) RNA-guided human genome engineering via Cas9. Science, 339(6121): 823-826. 图15 使用 TALEN、ZFN和CRISPR等技术的分子生物学途径示意图。图片来源：Tomoji Mashimo. (2014) Gene targeting technologies in rats: Zinc finger nucleases, transcription activator-like effector nucleases, and clustered regularly interspaced short palindromic repeats. Development Growth Differentiation, 56(1): 46–52. 图16 使用基因工程学方式构建基因靶向敲除大鼠的示意图。在大鼠（rat）胚胎中以显微注射的方式使用TALEN、ZFN和CRISPR等技术进行基因打靶。图 片来源：Tomoji Mashimo. (2014) Gene targeting technologies in rats: Zinc finger nucleases, transcription activator-like effector nucleases, and clustered regularly interspaced short palindromic repeats. Development Growth Differentiation, 56(1): 46–52. 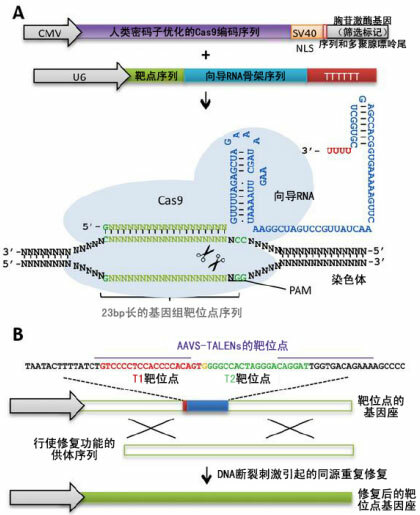 表 1 TALEN、ZFN和CRISPR/Cas三种基因定点修饰技术特点的比较，表格来源：Hongmei Lisa Li, Takao Nakano, and Akitsu Hotta. (2014) Genetic correction using engineered nucleases for gene therapy applications. Development Growth Differentiation, 56(1): 63-77. 表 2 现有的TALEN、ZFN及CRISPR相关设计数据库资源，表格来源：Kelly J. Beumer, and Dana Carroll. (2014) Targeted genome engineering techniques in Drosophila. Methods, in press, DOI: 10.1016/j.ymeth.2013.12.002. 1. Thomas Gaj, Charles A. Gersbach, and Carlos F. Barbas III. (2013) ZFN, TALEN, and CRISPR/Cas-based methods for genome engineering. Trends in Biotechnology, 31(7): 397-405. 2. Yongsub Kim, Jiyeon Kweon, Annie Kim, Jae Kyung Chon, Ji Yeon Yoo, Hye Joo Kim, Sojung Kim, Choongil Lee, et al. (2013). A library of TAL effector nucleases spanning the human genome. Nature Biotechnology, 31(3): 233-239. 3. Yongsub Kim, Jiyeon Kweon, Annie Kim, Jae Kyung Chon, Ji Yeon Yoo, Hye Joo Kim1, Sojung Kim, et al. (2013) A library of TAL effector nucleases spanning the human genome. Nature Biotechnology, 31(3): 251-260. 4. Chuanxian Wei, Jiyong Liu, Zhongsheng Yu, Bo Zhang, Guanjun Gao, Renjie Jiao. (2013) TALEN or Cas9 e Rapid, Efficient and Specific Choices for Genome Modifications. Journal of Genetics and Genomics, 40(1): 281-289. 5. Qiurong Ding, Youn-Kyoung Lee, Esperance A.K. Schaefer, Derek T. Peters1, Adrian Veres, Kevin Kim, Nicolas Kuperwasser, et al. 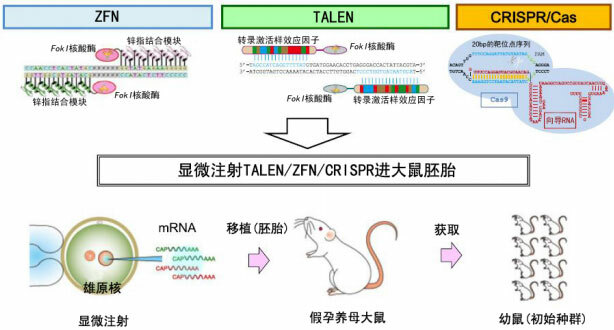 (2012) A TALEN genome-editing system for generating human stem cell-based disease models. Cell Stem Cell, 12(2): 238–251. 6. Victoria M. Bedell, Ying Wang, Jarryd M. Campbell, Tanya L. Poshusta, Colby G. Starker, Randall G. Krug II, et al. (2012) In vivo genome editing using a high-efficiency TALEN system. Nature, 491(7422): 114-118. 7. Yang J, Zhang Y, Yuan P, et al. Complete decoding of TAL effectors for DNA recognition. Cell research, 2014, in press. 8. Dana Carroll. (2011) Genome engineering with zinc-finger nucleases. Genetics, 188(4): 773-82. 9. Dana Carroll. (2008) Zinc-finger Nucleases as Gene Therapy Agents. Gene Therapy, 15(22): 1463–1468. 10. Palpant NJ, Dudzinski D. (2013) Zinc finger nucleases: looking toward translation. Gene Therapy, 20(2):121-7. 11. Severine Remy, Laurent Tesson, Severine Menoret, Claire Usal, Andrew M. Scharenberg, Ignacio Anegon. (2010) Zinc-finger nucleases: a powerful tool for genetic engineering of animals. Transgenic Research, 19(1): 363–371. 12. Eva-Maria Händel, and Toni Cathomen. (2011) Zinc-Finger Nuclease Based Genome Surgery: It’s All About Specificity. Current Gene Therapy, 11(1): 28-37. 13. NJ Palpant, and D Dudzinski. 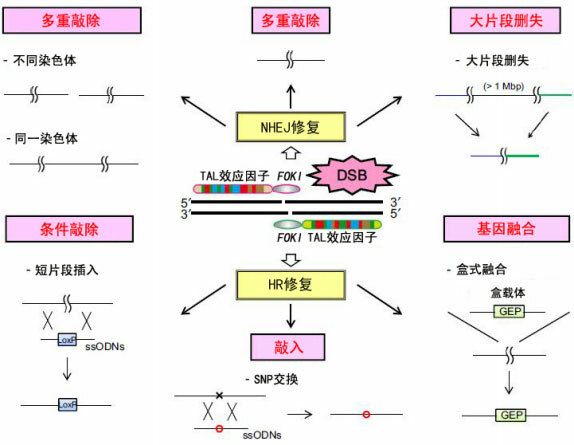 (2013 ) Zinc finger nucleases: looking toward translation. Gene Therapy, 20: 121-127. 14. Seokjoong Kim, and Jin-Soo Kim. (2011) Targeted genome engineering via zinc finger nucleases. Plant Biotechnology Reports, 5(1): 9-17. 15. Wu J, Kandavelou K, and Chandrasegaran S. (2007) Custom-designed zinc finger nucleases: what is next? Cellular and Molecular Life Sciences, 64(22): 2933-2944. 16. Rodolphe Barrangou1, and Philippe Horvath. (2012) CRISPR: New Horizons in Phage Resistance and Strain Identification. Annual Review of Food Science, 3(1): 143-162. 17. Hagen Richter, Lennart Randau, and André Plagens. (2013) Exploiting CRISPR/Cas: Interference Mechanisms and Applications. International Journal of Molecular Science, 14(1): 14518-14531. 18. Le Cong, Ann Ran, David Cox, Shuailiang Lin, Robert Barretto, Naomi Habib, et al. (2013) Multiplex genome engineering using CRISPR/Cas systems. Science, 339(6121): 819-823. 19. Prashant Mali1, Luhan Yang, Kevin M. Esvelt, John Aach, Marc Guell1, James E. DiCarlo, Julie E. Norville1, George M. Church. (2013) RNA-guided human genome engineering via Cas9. Science, 339(6121): 823-826. 20. Wenyan Jiang, David Bikard, David Cox, Feng Zhang, and Luciano A Marraffini. (2013) RNA-guided editing of bacterial genomes using CRISPR-Cas systems. Nature Biotechnology, 31(3): 233-239. 21. Woong Y Hwang, Yanfang Fu, Deepak Reyon, Morgan L Maeder, Shengdar Q Tsai, Jeffry D Sander, Randall T Peterson, J-R Joanna Yeh, and J Keith Joung. (2013) Efficient genome editing in zebrafish using a CRISPR-Cas system. Nature Biotechnology, 31(3): 227-229. 22. Judith Reeks, James H. Naismith, and Malcolm F. White. (2013) CRISPR interference: a structural perspective. Biochemistry Journal, 453(1): 155–166. 23. Kelly J. Beumer, Jonathan K. Trautman, Michelle Christian, Timothy J. Dahlem, Cathleen M. Lake, R. Scott Hawley, David J. Grunwald, Daniel F. Voytas, and Fand Dana Carroll. (2013) Comparing zinc finger nucleases and transcription activator-like effector nucleases for gene targeting in Drosophila. G3: Genes Genomes Genetics, 3(10): 1717-1725. 24. Hongmei Lisa Li, Takao Nakano, and Akitsu Hotta. (2014) Genetic correction using engineered nucleases for gene therapy applications. Development Growth Differentiation, 56(1): 63-77. 25. Tomoji Mashimo. (2014) Gene targeting technologies in rats: Zinc finger nucleases, transcription activator-like effector nucleases, and clustered regularly interspaced short palindromic repeats. Development Growth Differentiation, 56(1): 46–52. 26. Kelly J. Beumer, and Dana Carroll. (2014) Targeted genome engineering techniques in Drosophila. Methods, in press, DOI:10.1016/j.ymeth.2013.12.002. 27. Tomonori Katsuyama, Arslan Akmammedov, Makiko Seimiya, Samuel C. Hess, Cem Sievers and Renato Par. (2013) An efficient strategy for TALEN-mediated genome engineering in Drosophila. Nucleic Acids Research, 41(17): e163-171. 28. Tetsushi Sakuma, Hiroshi Ochiai, Takehito Kaneko, Tomoji Mashimo, Daisuke Tokumasu, et al. (2014) Repeating pattern of nonRVD variations in DNA-binding modules enhances TALEN activity. Science Report, 3(3379): 1-8.